Submitted by mahoney on Fri, 11/27/2015 - 1:21pm. Submitted by tomcantrell 11/24/2007. Currently maintained by mahoney. All of the Whataburger restaurant locations in the world, from Arizona to Florida, for which I could find geocodes! 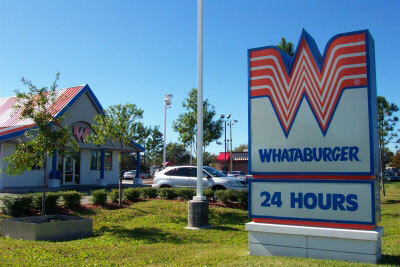 If you don't know what a Whataburger is, it is the flagship hamburger of the South with humble origins in Corpus Christi, Texas in 1950. Find, Go, Yum!